There are two ways in which you can help KSP to help the people of Nepal. You can make a donation or you can give practical assistance via a VOLUNTEER TREK, or both. KSP is funded entirely by donations from funding organizations, corporate sponsors, and generous individuals. See Our support. KSP is run entirely by volunteers, so every dollar donated is spent on projects in Nepal. Donations are not spent on administration. If you wish, you can specify a particular project for which your donation is to be used. Suggested donations are listed HERE. Or, you can simply make an un-tagged contribution. To pay by credit card (using PayPal), please click the Donate button on this page. Please make your check payable to "Kangchenjunga School Project". Donations are tax deductible in the USA. No amount is too small. Thank you. We appreciate your generosity. 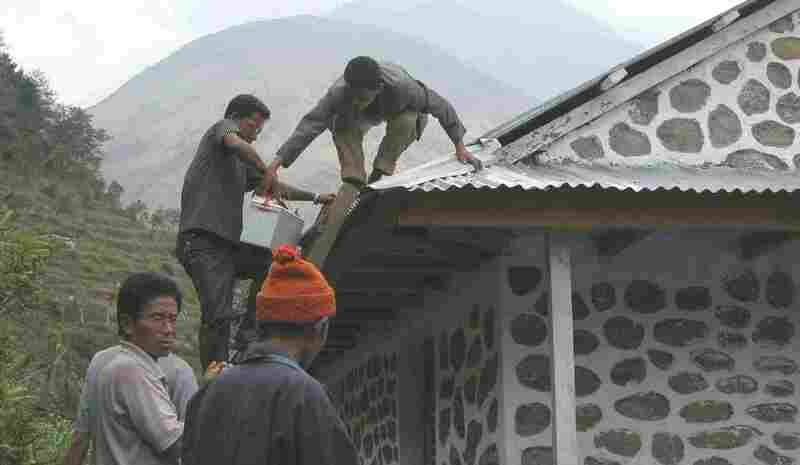 Please make your check payable to "Kangchenjunga School Project�.